Decorator pattern adds additional functionalities to a object dynamically without disturbing the other instances. The sub classes can be extended easily using Decorator pattern. Decorator pattern is a type of structural pattern and is also known as “wrapper”. Provides much flexibility than static class. Abstract class or interface is used for composition. Component : The responsibilities for interface objects can be added dynamically. 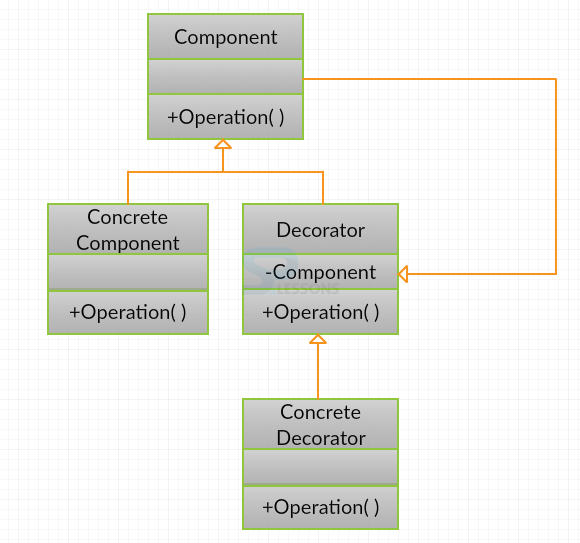 ConcreteComponent : Concrete Component is used to define an object to which additional responsibilities can be added. Decorator : Maintains a reference to a Component object and defines a interface that conforms to Component’s interface. Concrete Decorator : Concrete Decorator is used to extend the functionality of the component by adding the state or behavior. Creating a class BasicBike which implements the interface Bike. Creating a class BikeDecorator which implements the interface Bike. Creating a class SportsBike which extends the BikeDecorator class. Creating a class LuxuryBike which extends the BikeDecorator class. Result will be as follows. Basic Bike. Adding features of Sports Bike. Basic Bike. Adding features of Luxury Bike. Adding features of Sports Bike. Additional features can be added to an object dynamically by using the Decorator Pattern. Additional features can be removed easily by using Decorator Pattern. 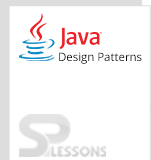 Decorator Pattern is mostly used in java IOclasses.